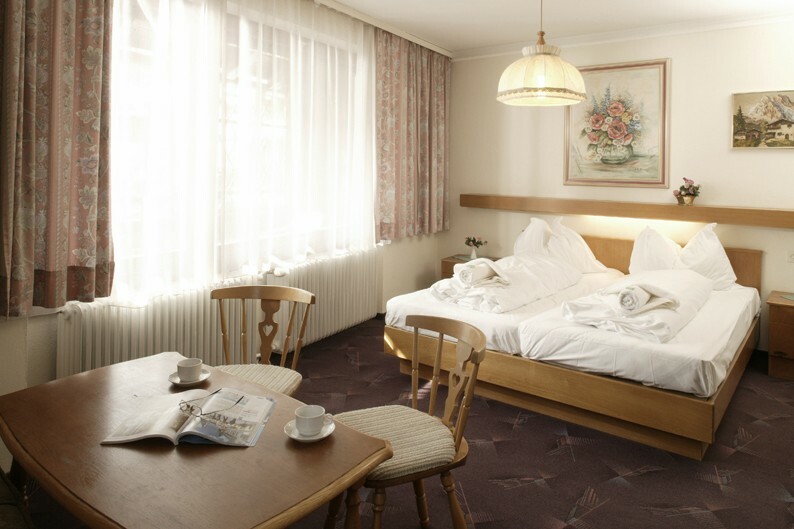 Chalet Hans offers traditional Austrian ambience and the comfort with all rooms en suite, many with small seating areas. 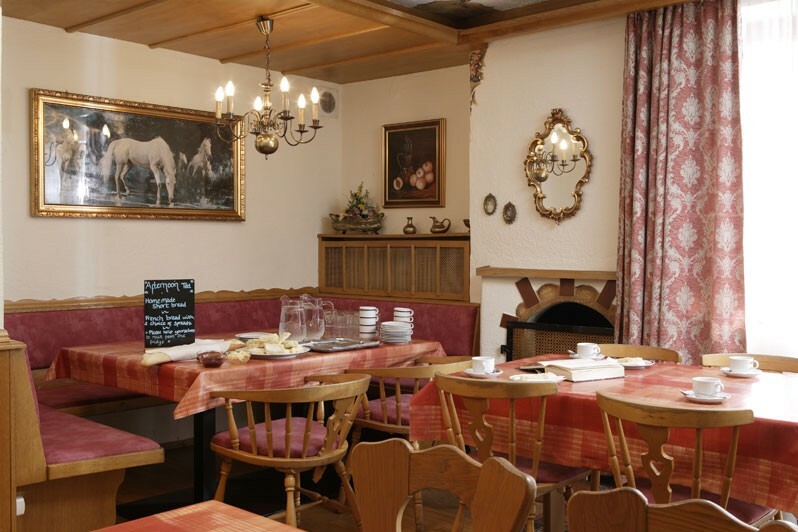 The chalet contains some of the owner’s original artwork, including wood carvings and a mural, which adds to the chalet’s character. 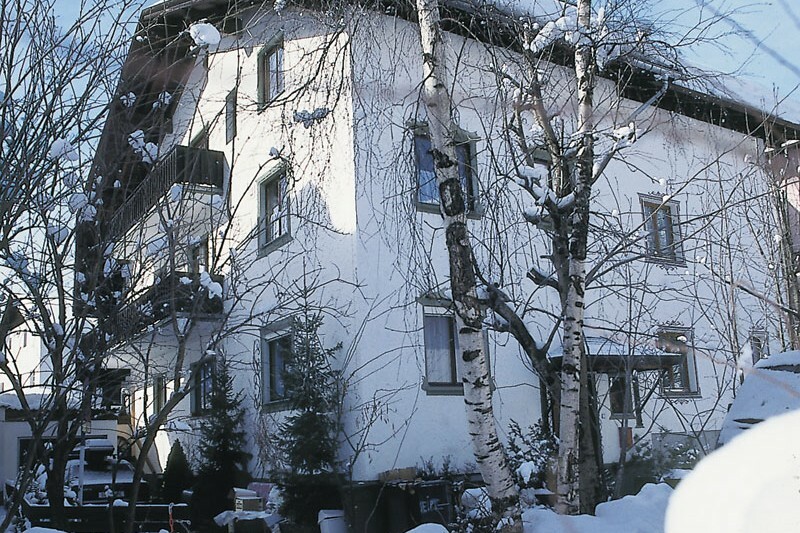 Chalet Hans is part of an attractive building very close to the famous domed church in this picturesque resort. It is a popular choice due to its proximity to the town centre - a 400 metre (approx.) walk along flat ground. The Nassereinbahn Gondola and nursery slopes are 550 metres (approx.) away with the main Gampen and Galzig lifts only slightly further towards the town centre. 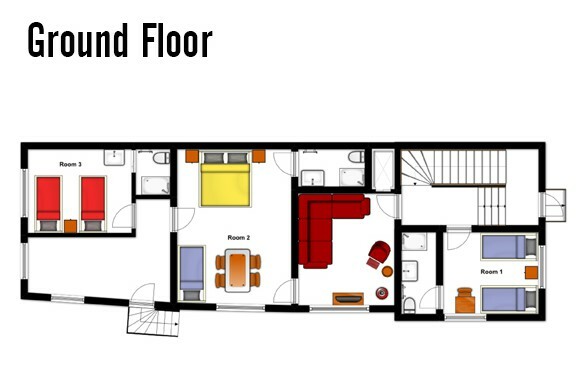 Room 8 = double with shower, WC and balcony. 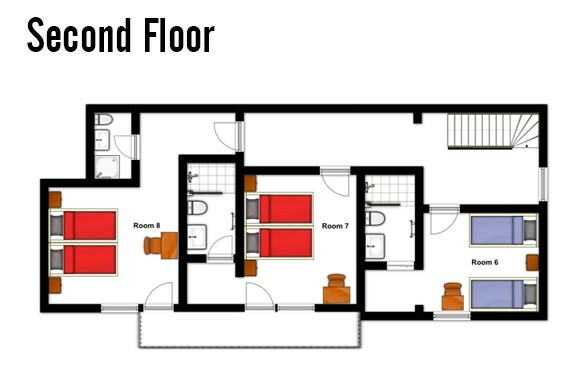 Please note: Rooms 2 and 3 can be made into a family suite via an interconnecting door. 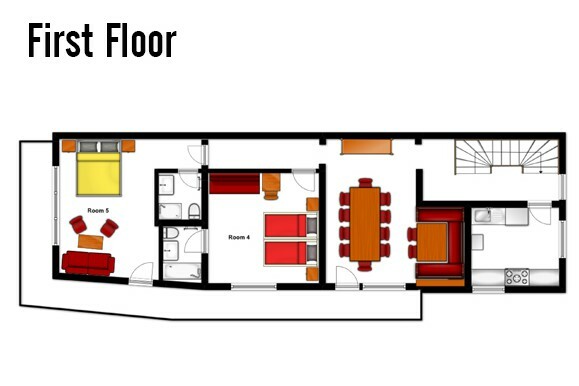 This allows internal access to the chalet via room 2.